Commercial property specialists NG Chartered Surveyors have brokered a deal which means a Nottingham trading estate is now 100% occupied. 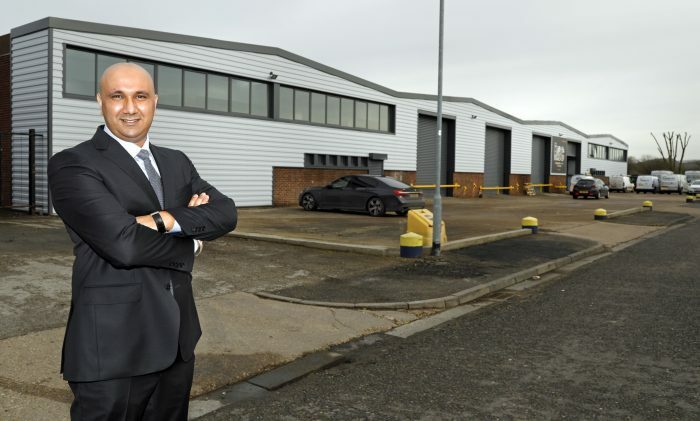 Sunny Landa, Director at NG, has acted for landlords Logicor to let the 31,000 sq ft Unit 7-10 at the Eldon Road Industrial Estate in Attenborough, Nottingham to the fast-growing Hire Supply Company (UK) Limited. The Hire Supply Company (UK) Limited started life in 2001 as as a small supplier to the tool hire industry and has now grown to be one of the UK’s largest tool hire industry distributors. Sunny said: “Far from the property market slowing down, we’ve enjoyed a stellar start to 2019 and we’re now proud to say that Eldon Road is now running at full occupancy. The Hire Supply Company’s new premises are located on the Eldon Road Trading Estate, Attenborough, adjacent to the A6006 Nottingham Road, which is the principal route between Nottingham and Long Eaton.